James Pulham and Son worked with the eminent landscape architect, Thomas Mawson, on a number of occasions. Their first collaboration was in Belle Vue Park, Newport, Monmouthshire, in 1893 – the first contract that Mawson was awarded for a municipal park project – and they evidently got on well because, when the 3rd Marquess of Bute commissioned Mawson to design a new garden for him to the west of his house at Mount Stuart in 1898, he invited James 2 to work with him again. The Rock Garden was restored and reworked during the 1950s and 1980s, and part of it was also replanted in 2002, but the Via Dolorosa walk was allowed to become overgrown and almost forgotten until 1993, when it, too, was cleared and largely restored. In 2001 the full shape and beauty of the Calvary pond itself emerged from the surrounding woodland after dredging and drainage work was carried out, and Fig 2 shows the rock garden as it was in 2009. The concept and features of this project are very similar to those used by Pulhams at Batsford Arboretum in 1902. The rock gardens at Mount Stuart and Ross Hall Park, Glasgow – described in Chapter 17 of Rock Landscapes: The Pulham Legacy – are not only very good examples of the firm’s ability to create picturesque gardens that blend seamlessly into their natural surroundings, but also of the results that can be achieved by the hard work and generosity of people who are concerned about the preservation of their garden heritage. 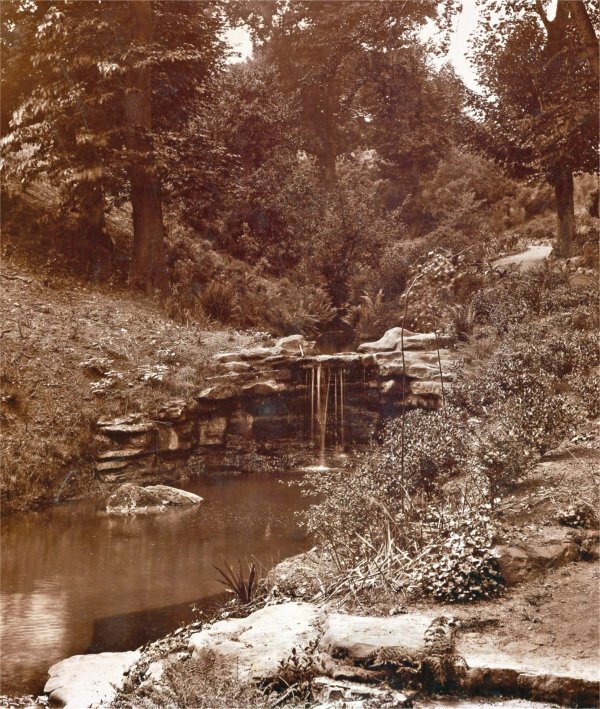 An archive photograph of one of the cascades at Mount Stuart is shown in Fig 1. 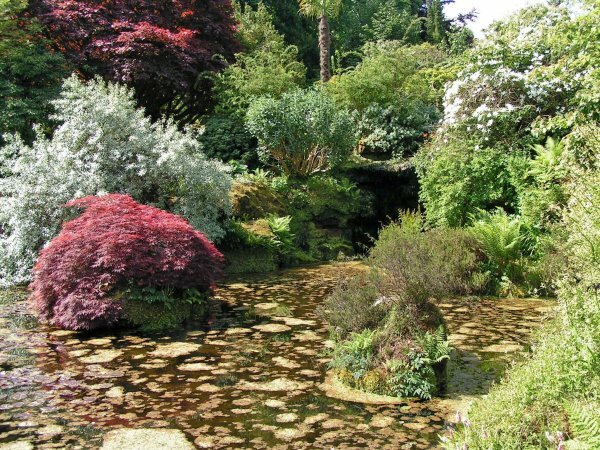 Posted on July 1, 2015 June 4, 2016 by Claude HitchingPosted in Sites Month 2Tagged . . James Pulham and Son, Calvary Pond, Marquess of But (3rd), Mount Stuart - Argyll and Bute, rock garden, Ross Hall Park - Glasgow, thomas mawson, Via Dolorosa - Mount Stuart.